This essay examines the relationship between George Stubbs’s Lion and Horse series of paintings and the redefinition of the sublime given by the philosopher Edmund Burke in his famous treatise of 1757. It argues that Stubbs sought to provide visual equivalents for Burke’s maximalist languages of neuro-physiological description of viewing experiences, exploring the visual implications of the novel concepts of sympathy, pain, contractility and expression in ways that help explain the unconventional intensity of his images. George Stubbs’s Lion and Horse series is routinely associated either with the rhetoric of romanticism or, even more implausibly, neoclassicism and Enlightenment reason. The adoption of such concepts as romanticism, which Stubbs ignored, is obviously teleological and anachronistic,1 while the rhetoric of the classical ideal, which he frequently criticised, fails to account for the specific intensities and dark pleasures of these pictures.2 This paper will seek to provide a more appropriate historiographical framework for the Lion and Horse series by focusing on its multiple relations with avant-garde redefinitions of the sublime in this period, most particularly, Edmund Burke’s Philosophical Enquiry into the Origin of Our Ideas of the Sublime and Beautiful (1757). In this sense, I will discuss the sublime today not just as another diachronic aesthetic category, but rather as a historically specific model for cultural practices that opened new ways of imagining the visual field and re-energising phenomena of aesthetic reception. This case study aims to show that the discourse of the sublime allowed artists and critics to envisage new physical languages for the description of artistic phenomena, to recast and problematise the act of viewing images, and ultimately to introduce a new extreme economy of aesthetic experience, with far-reaching bio-political implications. In terms of genre, the Lion and Horse series belongs to the same category as Stubbs’s Phaeton cycle, or the now lost paintings of Herakles and Achelous exhibited 1770, the Centaur Nessus and Dejanira and Hope Nursing Love exhibted 1772) . In these works Stubbs attempted to break free from the ‘low’ genre of animal painting, and shed his unvarnished professional identity as ‘animalium pictor’ (fig.1) by borrowing from the more respectable fields of mythological, history and landscape painting. More than any other group of works, it was the Lion and Horse series that helped Stubbs to be seen as a serious and ambitious painter. 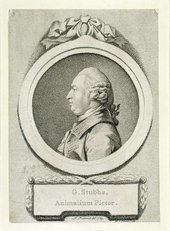 Stubbs’s deliberate confusion of genres have led some scholars to link his work with the repertoires of classicism, although Stubbs was attempting to move away from the classicising tendencies of native academic traditions. The classicist reading of the Lion and Horse series focuses on a thematic and iconographic affinity between the central motif of the series and such antique examples as the famous complex from the Palazzo dei Conservatori on the Capitoline, which was well known in Stubbs’s time from reproductions (prints and casts), the most famous of which was the 1741 replica erected in the gardens of Rousham (fig 2).4 There are, however, numerous other precedents of Stubbs’s chosen theme: the motif of a lion or lioness devouring bulls, stags, horses or even human beings extends in a continuous line from the prehistoric times to his era (and since) (figs.3–4). The persistence of the theme demonstrates that the subject had a life of its own which exceeds easy identification with any definition of classicism other than as a procrustean table on which the wide diversity of inter-textual engagements with the ancient past are normalised. Fig.3 Lioness Devouring a Bull c.570 BC? Following a more historically-specific description, neoclassicism can be reconsidered as an economy of refined affect, a quietist mode of vision and a ‘regulated’ style of artistic labour, which was promoted and consolidated by the ‘intellectual programming’ of a carefully constructed classical education.5 From this point of view, the ‘classical credentials’ of Stubbs’s Lion and Horse series appear to be far from ‘impeccable’.6 The unflinching gore of these images, the rude impact that they sought and the new type of sensory perception thus produced, point to an ideal of perceptual violence that was altogether antagonistic to classical refinement. Such anti-classicist ambitions contributed to the undisputed popularity of Stubbs’s innovative painting, and at the same time allowed him ‘to cut a marginal figure in the London art world’.7 No doubt Stubbs participated in the radical reformation of contemporary taste. But he accomplished this task by setting up a deliberate, intense and fruitful dialogue with avant-garde variations of the sublime – notably, Edmund Burke’s reflections on the concept. Burke knew Stubbs, followed his work, and related news about his progress to his protégé, James Barry, while the latter was in Italy.8 Barry had first extolled the ‘surprising reality’ of Stubbs’s work in 1765,9 remarking to Dr Joseph Sleigh that his aesthetic opinions were largely shared by their common friend Burke, ‘of whose taste and discernment you want no proof’.10 That Stubbs had owned the Enquiry among his library of 1,800 books that went on sale after his death is very likely, as is the possibility that Stubbs and Burke would have met within the closely knit group of opposition Whigs, who enthusiastically endorsed and patronised the work of both marginal upstarts during the early 1760s. In fact, Lord Rockingham, the leader of the group, both introduced Burke into parliamentary politics as his private secretary and commissioned from Stubbs the first Lion and Horse picture in 1762.11 Insofar as this progressive coterie of landed aristocrats flirted during the radical 1760s with religious dissent, political opposition to ‘court influence’ and innovative experimentation in natural knowledge,12 it offered an ideal platform for creative interaction between such artist-scientists as Stubbs, and such scientific art critics as Burke. It is precisely in this context that Burke addressed the case of the horse to illuminate further similar ambiguities of power at the heart of the sublime. The horse embodies a unique form of animal power that is both docile and insubordinate. On the one hand, in its domesticated form, the horse is a ‘useful beast, fit for the plough, the road, the draft’, and thus ‘has nothing of the sublime’. On the other, however, the horse is an animal of uncontrollable powers, where its ‘useful character … entirely disappears, and the terrible and sublime blaze out together’.18 Stubbs’s horses, it seems, frequently fail Burke’s test of sublimity, as is the case of his captivating horse-portraits such as the Whistlejacket c.1762 and the Mares and Foals. Even the famous Hambletonian, Rubbing Down 1800 remains despite the vigorous energy that it exudes a representation of an evidently contained creature produced and used for human entertainment. The horse of the Lion and Horse series, however, belongs to an entirely different universe. From the Horse Frightened by a Lion (exhibited 1763, fig.5) or the Horse Devoured by a Lion (exhibited 1763, fig.6) to White Horse Frightened by a Lion 1770, (fig.7) – the three paintings around which this paper will revolve – the main figure is the wild horse caught up in an equally violent encounter with another sublime creature, the lion. This clash between two examples of the animal sublime takes place within the grand backdrop of the Creswell Crags, which seems to invoke a type of primitive environment predating the arrival of human beings. The sublimity of Stubbs’s paintings does not, however, rest on the iconographic citation of such easily recognisable objects of the sublime. Stubbs, I propose, uses these familiar motifs to visualise the extreme emotional phenomena associated with the sublime as a mode of viewer reception. Rather than trying to illustrate the objects that cause the sublime, these pictures supply a visual analogue of the aesthetic affect of the sublime, as it seizes hold of the living body and mind. And in doing so, they attempt to re-articulate the volatilities and potentialities of the viewing experience under extreme conditions. Indeed, none of these ‘objects’ of the sublime in Stubbs’s pictures turn out to be as stable and unambiguous as they might at first seem; paradoxically, their sublimity is thus enhanced rather than diminished. It appears that Stubbs conceived the impact of those pictures in the Lion and Horse series that focus on the horse’s fear (figs.5 and 7) in an ascending sequence of sublime moments. His compositional arrangements are designed to focus the viewer’s attention on the sublimity of the horse: larger than the lion and placed much closer to the viewer, the horse dominates the visual field through colour contrast and the detailed depiction of its physique. Yet soon after the viewer admires the elemental force of the wild horse, he or she is compelled to encounter another source of fear: the cause of the horse’s own terror. Viewers are swiftly forced to acknowledge the higher sublimity of a superior animal force – the lion – which triggered, in fact, the horse’s expressive anatomical power first admired by the viewer. The energy released by Stubbs’s pictures is the result of this shift from one form of the sublime to a more powerful one. Yet in this process the horse-sign undergoes very significant modifications which effectively transform the affective operation of the pictures as a whole. Most crucially, the horse changes affective registers: it loses its former status as an object of sublime terror – a source of power – and becomes an object of pity and affection, powerlessly subjected to another power. This dramatic shift replicates the ambiguities of power inherent to this animal according to Burke. Indeed, on closer inspection, these ambiguities are suggested in the very pose and setting of the scene. As has interestingly been noted by the art historian Stephen Daniels, the pose of the frightened horse is modelled upon a recognisable stance, known as the ‘defensive airs in ménage’, which was extensively used in the discipline of dressage – the training of a horse in the execution of precise movements and blind obedience to its rider. The intensity of the pose can be explained by the fact that it refers to the heroic art of ‘battle training for warhorses in close combat’, rather than to displays of ‘mere prancing and dancing’.19 If the threat of violence is implied in the pose, such dressage references remove these images from the wild and primitivist context of the first impression and place them back into the much less sublime framework of discipline and civilisation. Similarly, the Creswell Crags scenery may appear as ‘rugged,’ ‘virile, even violent’, but it also invokes practices of ‘estate improvement and landscape gardening’, as it was being redesigned at the time to reflect the polite ‘optic’ of the scenic and the picturesque. Stubbs’s paintings seem to explore similarly treacherous territories. The horse’s disaster provokes not only feelings of love (revealing the viewer’s capacity for refined feelings and thus beauty), but also terror and sublimity. The horse’s transformation into a creature of elegance, delicacy and pity is inextricable from the violent plot that dictates its dreadful fate. According to the Burkean script, the horse’s helplessness elicits from viewers a compulsive and irresistible mixture of semi-sympathetic and quasi-sadistic delights. This transformation of the horse’s brutal energy first into delicacy and pity and then into a morbidly delicious spectacle of destruction exemplifies the curious way in which states of powerlessness can also have powerful effects. In fact the sublime aesthetic requires, rather than precludes, states of vulnerability. It is through powerlessness and vulnerability that the maximal forces operating in the sublime can be measured. Such complex interplay between power and powerlessness is visualised through Stubbs’s sensational depiction of the horse’s anatomy. The unforgiving spasm which seizes the horse’s body makes visible its internal anatomy in a way that deepens the sinister associations of the horse motif with the sublime and extends the compulsive logic of Burkean sympathy. The horse’s excessive anatomy is intended to show the paralysis of terror and elicit pity, but its visceral detail, bordering on the abject, turns this subject of fear into an object of fearfulness for the viewer. Further still, the horse’s violent anatomical projection facilitates a hazardous slippage which allows it to act both as an object of the sublime and as a focal point for the identification of the viewer – the subject of the sublime. Crucially, the horse’s dramatic reaction to fear brings to mind the way in which Burke described the extreme corporeal effects of the sublime on the animal economy of human viewers. Burke depicted the experience of the sublime in a very physical way, through a neurophysiological vocabulary of reflex spasms and contractions rattling the viewer’s entire body. The single most original and radical contribution of Burke’s sublime in the history of eighteenth-century aesthetics lies in his enthusiastic endorsement of such exacerbated states of contractility as ‘pain’ and ‘labour’ as well as ‘tensions’, ‘convulsions’ and ‘spasms’ that ‘work up’ the body’s fibres to a ‘pitch’ ‘beyond their natural tone’. Insofar as the witness of the sublime is for Burke a physically and psychologically over-powered and over-strained entity, the powerlessness of Stubbs’s horse embodies a defining feature of Burke’s sublime experience. The horse provides an image of the instinctual response of living bodies to phenomena of extreme fear, thus resonating with Burke’s descriptions of the violently afflicted viewer. The lines of empathetic connection between horses and men were very strong in this period: the emerging sciences of sensibility – vitalist and sensationist types of bio-medical discourses from which Burke had borrowed extensively – had ensured extensive communication between the animal and human spheres.26 In situations of primal pain or fear, this medical model suggested, men and animals shared a primordial and concrete form of common sentience and action, a basic physiological intelligence, thus consolidating such sympathetic exchanges between painted horses and viewers as those mobilised in Stubbs’s works. In this aesthetic-epistemological framework, the threatened horse of Stubbs’s pictures acts as a veritable stand-in for the viewer. Contemporaries were sensitive to such empathetic exchanges, for which there had been visual precedents. Contemporary French sculpture, for example, presented sublime fantasies of fatal human encounters with wildlife, where the horse or bull were replaced by hapless human beings about to be devoured by the lion. Famous examples include Pierre Puget’s Milo of Croton 1671–82 and Etienne-Maurice Falconet’s own variation on the theme (in 1754), which caused considerable uproar in his time. Although such literal substitutions were rather rare in British visual culture, poetry came close to drawing out similarly violent scenarios. A significant example was provided by Horace Walpole in a poem that was, in fact, directly inspired by Stubbs’s Horse Frightened by a Lion 1763. ‘On seeing the celebrated Startled Horse, painted by the inimitable Mr. Stubbs’ was composed on the eve of the painting’s exhibition at the Society of Artists in 1763,27 and explores specific features shared by the Lion and Horse series as a whole. Walpole was not the only poet to celebrate the aesthetic breakthroughs of Stubbs’s painting,28 but his poem was the only one to stress the more unsettling potentialities of the pictures largely ignored by others. Culturally and socially, Walpole was in fact well placed to understand Stubbs’s painting and its complex relations with radical innovations in the literature of the sublime. Walpole’s status as an ‘outsider’ of the lesser aristocracy, his disdain for all forms of excessive ‘aristocratic bias’, and his libertarian principles, are well documented.29 His attitude towards Burke as a character and a politician were not always friendly,30 but he was nonetheless able to appreciate Burke’s aesthetics and his excessive style of political writing and speech.31 In his Annual Register, Burke had published for his part a generally positive review of Walpole’s Anecdotes of Painting in England in 1762, one year before Walpole’s poem on Stubbs.32 In this essay, Burke had applauded Walpole’s discovery of Gothic taste in which he rightly perceived affective affinities with his own sublime sensibility, including a shared opposition to the classical style.33 In his poem on Stubbs’s picture, Walpole would reciprocate by embracing Burke’s novel bio-aesthetic approach to sensation as well as retrieving numerous elusive aspects present in Burke’s and Stubbs’s work. I feel his [the horse’s] feelings; how he stands transfix’d! Here Walpole intimately fuses his physical response to the painting with the agitated body of the painted horse. His body ‘trembles’ and his ‘fibres’ convulse to the rhythm of the horse’s ‘distending’ ‘veins’ and ‘joints’. Just as Stubbs used the horse to represent what visually happens to a living body when seized by the convulsions of terminal fear, Walpole replicated in writing the contractile physicality and neuro-muscular vibrations of the human experience of the sublime. In Walpole’s self-transformation into a trembling and shaking horse, his body becomes the focal point of a reflex activity that causes a range of anatomical projections of the interior into the exterior of the body. These violent, almost unsustainable, distortions produce a literary intensity through which polite invocations of beauty or pity are transcended. Likewise, Stubbs’s gritty anatomical precision creates a sensational image of violence: the unflinching way in which the interior sculpts the exterior of the body conveys shock through shock. Fully brutalised by the primordial forces of violence, the terrified bodies of horse and viewer alike become terrifying in their common viscerality and agitation. And if the horse in Stubbs’s painting hovers between ‘effects’ of elegance and repulsion, pity and cruel delight, Walpole’s poem performs and communicates a sadistic voyeurism, as well as a masochistic delight in observing his own veins dilating, his nerves trembling and his joints stretching. As the passive victim of the sublime becomes a source of active, almost irresistible, repulsion, it becomes itself a new centre of sublime effects. At this sensitive point where, once again, the emotional effects of the sublime intersect with their visual manifestations in the body of those who experience it, another central paradox in the operation of the sublime emerges. By identifying with the horse in Stubbs’s painting, Walpole did not only universalise extreme affects as a singularly important property of all living forms; he also raised a particularly vexed question: the specific affective and aesthetic content of what he calls ‘convulsed distress’, an exceptionally problematic state bordering on acute, and possibly destructive, pain. 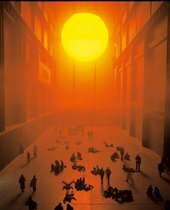 Burke had been attentive to the specific nature of the pain and danger required to produce the experience of the sublime in the viewing subject exposed to it. He was indeed aware that in some situations ‘danger or pain press too nearly’ to give any pleasure: such savage stimuli ‘are incapable of giving any delight, and are simply terrible’. He added, however, that ‘at certain distances, and with certain modifications’ such extreme sensations could, in fact, be ‘delightful’.35 Such reflections on the intensity of the sublime are particularly relevant to Stubbs’s paintings which similarly explore the line between intense physical suffering ‘beyond the natural tone’ and the brutal pain that ‘presses too close’ for any ‘aesthetic’ sensation to be experienced. As the viewer empathises with the terrified horse, the question arises: is the subject in panic capable of sublime experience? Walpole’s Gothic novel, The Castle of Otranto, provides an interesting case study of his understanding of the way in which extreme terror affects human subjects. Caught up in a storm of bizarre yet traumatic events, the afflicted characters of Walpole’s story are unable to feel anything near the delight or empowerment central to Burke’s conception of the sublime. Like the horse of Stubbs’s picture they are petrified and incapacitated to the point of senselessness which Burke identified with situations of unsustainable physical pain. Walpole’s characters are repeatedly described as ‘lifeless’ and ‘insensible’ in the face of ‘grief’, ‘transport’ and ‘phrensy’.36 The protagonists fall into tremors of paralysis just as the spectacle that they offer is intended to produce sublime tremors in the story’s reader. Walpole deliberately mobilised terror as his ‘principle engine’ in order to submit readers to ‘a constant vicissitude of interesting passions’ during which ‘attention’ can never in fact be truly ‘relaxed’.37 In effect, the reader’s affective experience intensifies in inverse proportion to the characters’ own sensibilities which seem to be sacrificed. In this paragraph, Walpole reconstructs the contradictory experience of the sublime as a phenomenon of embodied remembrance of extreme phenomena. Violence may petrify to insensibility but its absorption in the memory of body and mind can provide access to rare orders of pleasure. For Burke too, the sublime never precluded violence; in fact, it presupposed it. The Burkean sublime unfolds like a state of convalescence through which ‘the solid, strong, and severe nature’ of the physical pain involved in this curious affect is fully revealed.39 For Walpole, convalescence from trauma takes the form of a perpetual state of mnemonic re-enactment. Like Burke, Walpole envisages the sublime as an affective activity whose proper tense is the present perfect: it is in the aftermath of a lived experience of consuming violence – and not in different forms of avoidance of or disengagement from violence – that the full positivity of the sublime is released. In this sense, survival of near-death experiences offers an extraordinary opportunity for empowerment. In Walpole’s case, this sublime convalescence seems to be linked with a form of melancholy to be shared in a community of similarly wounded subjects who are simultaneously subjects of eros and desire. Walpole’s own extreme experience of Stubbs’s painting implies a similar unfolding: Walpole, the viewer who is afflicted by the horse’s terror in front of Stubbs’s painting, is not the same person as Walpole the poet who expresses his astonishment and delight in the work; the latter has ‘survived’ the immediate experience specific to his empathetic identification with the terrified horse, and re-composes this experience in a poem. Evidently, the necessary condition for these bipolarities of the lingua trauma is survival, but survival is by no means guaranteed in Stubbs’s Lion and Horse series. Quite the opposite in fact, when one turns to the episode that Stubbs often paired with this one: that of the horse devoured by a lion. Since this pairing occurred in the 1763 exhibition that inspired Walpole, it becomes clear that the poet’s selection of the first episode alone as the topic of his poem was deliberate, as was his refusal to even mention the theme of its pendant. Walpole seems intent on exploiting the unique opening provided by Stubbs’s petrified horse, but abruptly cut short by the irreversible narrative of ithe accompanying painting. In this sense, Walpole’s poem significantly isolates the episode that most effectively reveals the complex, unresolved psychodynamic contradictions within modern ideas on the sublime. The sublime moment captured by Stubbs in this episode of imminent death overflows with an energy and intensity of expression. Once more, Walpole’s poem uniquely reveals the special synergy between expression and anatomy in Stubbs’s painting. Walpole rightly understood that the principal focus for the viewer’s experience lies in the profound agitation betrayed by the horse’s anatomy: it is precisely because the horse is in an extreme state of pain that ‘we can peruse’ the entire range of its expressive tumult, simply by following the lines of visibility drawn by the pain and convulsive labour of the animal’s reactions. The poem faithfully traces these lines made visible by the vis vitalis of extremeanatomical tensions: ‘yielding joints’, a ‘wild distended head’, ‘ears shot forward stiff’, a ‘projected mane’, and a ‘trembling’ frame. It is such contractions, as Walpole put it, that ‘all the workings of [the horse’s] soul explain’. A superior spasm that paralyses and freezes the body while it simultaneously throws it into trembling and convulsions constitutes, for Walpole and Stubbs, an extreme form of biophysical contradiction that holds the key to intensified expression. Walpole mobilises different definitions of expression in his poem. On the one hand, Walpole marvelled at the density and thickness of expression resulting from the painter’s investment in his work: ‘How apprehension, horror, hatred and fear/In one expression, are concenter’d here!’ On the other hand, Walpole located expression in the energy that emanates from art works. Every micro-spasm and contraction acts as a vital discharge that coincides with expression in the literal sense of ‘pressing out’ emotions: ‘Through that stretch’d nostril see each feeling fly’. The image of ‘startled nature’ projects into real space, it literally ‘rushes through the eyes/in all the force of terror and surprise’. Thus, a concentration of feelings and sensations is introduced into the work by the artist, before being released again as they rush out from the work into the viewer’s eyes in what appears as a veritable spasm. In other words, expression takes the form of an affective discharge in its barest and material form: a vital reflex triggered by the concentrated emotion contained in the art work. This pictorial reflex replicates the physiology of expression in the human viewer: in both viewer and art work, the sensitive process of reception (concentration) is overdriven to the point of a reflex spasm that transmogrifies it into its opposite, expression (release). In this scheme, the viewer’s expression is the result of the work’s own expression, its material projection into the space of the viewer. Crucially, the specific means through which the painting achieves this expressive spasm is anatomical detail: it is the multitude of veins, stretched sinews and contracted muscles that establish the affective connection of the horse with the viewer and animates the space between them. ‘Startled’ and ‘convulsed nature,’ with its ability to flesh out the minute yet concrete profusion of animal form becomes the supreme condition for amplified states of visual experience, that allows us to ‘read’ the horse’s ‘pang’ ‘through each transparent vein’. In this period, visual and textual languages of the sublime facilitated the transvaluation of such terms as reception and expression, work and viewer, subject and object, passivity and activity, charge and discharge, and, ultimately, realism and affect. In this process, the sublime became a tool in an experiment aimed at finding this ‘magical’ point where every one of these terms could instantly turn into its opposite, and both the labour of vitality and the vitality of representation could be enhanced. Burke’s materialist and physiological models of contractility had already allowed him to explore such slippages at their most dangerous: at that optimal point where extreme forms of sensory labour and emotional trauma are turned into engines of health and empowerment. During the second day of the conference The Sublime in Crisis? New Perspectives on the Sublime in Visual Culture 1760–1900, the discussion about the sublime in the nineteenth century regularly referred back to Burke’s text as an important point of comparison. During these discussions, a number of speakers suggested that Burke (and the eighteenth century at large) developed the sublime as a fundamentally religious and providential category, before it became a secularised concept in the late nineteenth century. Such interpretations are based on a small number of references to God in Burke’s text, which echo almost verbatim rhetorical topoi already established and popularised in this period by natural theology. If natural theology (exemplified by the writings of John Wilkins and John Ray) organised its objects of study and related evidence in order to demonstrate the existence of God, Burke used the concept of design in a clearly ‘nonteleological’ way which did not aim to prove the metaphysical existence of God, but rather to legitimise the independent study of physical mechanisms and material adaptations. For every statement in Burke’s Enquiry that subscribes to physico-theological motifs, there are vast numbers of propositions which are ultra-empirical, and fully aligned with forward-looking forms of scientific experimentalism in his era. In particular, Section I of Part IV – Burke’s methodological manifesto – constitutes a barely disguised and most deliberate assault on the teleological models of natural theology and its most cherished tools, ‘first’ or ‘ultimate causes’. The widespread use in natural theological treatises of such concepts inherited from Aristotelian philosophy was for Burke an aberration. Instead, he expressed his unconditional support for ‘efficient causes,’ the lowest of all causes which focused solely on the empirically verifiable functions of the natural world – the object par excellence of experimental science. Historians of science have extensively shown that ready-made dualist oppositions between secularism and religion, materialism and theology are anachronistic to this period. Many devout Christians developed otherwise materialist approaches to natural philosophy. And, inversely, many spokesmen for traditional (revealed) religion objected to the kind of natural theology occasionally invoked by Burke because it was too adaptable to secular uses, and thus ultimately self-defeating. I suggest that Burke’s dynamic juxtaposition of this ‘religious’ language with his more ‘materialist’ scientific statements certainly justified the fears of conservative Christians. The fact that contemporaries of Burke’s such as Richard Payne Knight or immediate successors such as Dugald Stewart believed that the Enquiry’s scientific method was copied from ‘French Materialists’ and led ‘directly to materialism’ demonstrates the book’s subversive potential, which perplexed both writers in light of Burke’s later anti-revolution stance. Few ambitious writers in this period abstained from drawing on the rhetorical schemes of natural theology. Some scholars evolved logical absurdities that ended up reversing the original religious beliefs, while others, as Roy Porter explained, used ‘religious pieties’ as a means of ‘trimming’ their politics ‘to suit their betters.’ After attending an anatomy lecture, by the surgeon William Hunter, that had been peppered with similarly shallow invocations of God and natural theology, Benjamin Franklin impatiently reached a conclusion that is still valid: a proposition remains ‘truly revolutionary’ regardless of whether one ‘prefers’ to call it the work of an ‘all-powerful and all-wise Creator’ or simply that of ‘the economy of Nature’. 1. Judy Egerton, ‘Stubbs’ in Dictionary of Art, ed. Jane Turner, vol.29, London 1996, p.808. Or milder Alex Kidson, George Stubbs: A Celebration, London 2006, pp.8, 12–13. 2. Nicholas Hall, ‘Fearful Symmetry: George Stubbs, Painter of the English Enlightenment’, in Nicholas H. J. Hall (ed. ), Fearful Symmetry: George Stubbs, Painter of the English Enlightenment, New York 2000, pp.11–34, especially p.32. See also Malcolm Warner, ‘Stubbs’s Classicism’, in Malcolm Warner and Robin Blake (eds. ), Stubbs and the Horse, New Haven 2005, pp.65–79. 3. Gazetteer and New Daily Advertiser, 8 May 1764, no.10, p.969. 4. For the identification of this antique motif in Stubbs, see Basil Taylor, ‘George Stubbs’ “The Lion and Horse” Theme’, Burlington Magazine, no.107, February 1965, pp.81–7. 5. Viccy Coltman, Fabricating the Antique: Neoclassicism in Britain, 1760–1800, 2006, p.28. 6. Kidson, George Stubbs, p.13. 8. Letter to James Barry, 24 August 1767, in The Correspondence of Edmund Burke, ed. Thomas W. Copeland, vol.1, Cambridge 1958, p.323. 9. James Barry, The Works of James Barry, vol.1, London 1809, p.16. 11. Robin Blake, George Stubbs and the Wide Creation: Animals, People and Places in the Life of George Stubbs, 1724–1806, London 2006. 12. For an overview of the group’s identity, see ibid., pp.16–17. 13. Edmund Burke, A Philosophical Enquiry into the Origin of Our Ideas on the Sublime and Beautiful, London 1759, p.114. 19. Stephen Daniels, ‘Miniature Matlock: Creswell Crags, George Stubbs and 18th-century Landscape Taste’, The British Art Journal, vol.10, no.2, 2008, pp.79–85, especially pp.81, 82. 21. Burke, A Philosophical Enquiry, p.74. 25. David Bromwich, ‘The Sublime Before Aesthetics and Politics’, Raritan, no.16, 1997, pp.30, 33–4. 26. See Aris Sarafianos, ‘The Contractility of Burke’s Sublime and Heterodoxies in Medicine and Art’, Journal of the History of Ideas, no.69, January 2008, pp.23–48. 27. Public Advertiser, 4 November 1763, no. 9050. The poem was reprinted in H. Walpole, Anecdotes of Painting in England, eds. Frederick W. Hilles and Philip B. Daghlian, vol.5, New Haven 1937, pp.110–12. 29. Timothy Mowl, Horace Walpole: The Great Outsider, London 1996, pp.7, 258–9. 30. Martin Kallich, ‘Horace Walpole Against Edmund Burke: A Study in Antagonism’, Studies in Burke and His Time (parts 1 and 2), IX, 1968, pp.834–63, 927–45 (p.944). 31. Mowl, Outsider, pp.188, 258. Kallich, ‘Walpole against Burke’, pp.945, 936–7. 32. Annual Register for 1762, pp.252–6. In the same issue, Burke published the ‘Life of Inigo Jones’ which he ‘extracted from Mr. Walpole’s Anecdotes of Painters’; see [Section II: Literature], Annual Register of 1762, pp.25–9. 34. Public Advertiser, 4 November 1763, no. 9050. All references to the poem cited below come from this source. 35. Burke, A Philosophical Enquiry, p.60. 36. Horace Walpole, The Castle of Otranto, ed. Michael Gamer, London 2001, pp.96–7. 37. ‘Preface to the First Edition’ in ibid., p.6. 39. Burke, A Philosophical Enquiry, pp.56–7. 40. Hal Foster, ‘Obscene, Abject, Traumatic’, in C. Douzinas and Lynda Nead (eds. ), Law and the Image, Chicago 1999, pp.254–6. 41. See Fuseli’s entry in A Dictionary of Painters from the Revival of the Art to the Present Period; by Rev. Matthew Pilkington, A. M. A New Edition with Considerable additions, an Appendix and an Index; by Henry Fuseli, London 1810, p.523. 42. See ‘Expression’, Oxford English Dictionary, Definition 1 b. (a) and (b). 43. Burke, A Philosophical Enquiry, p.92. 44. Mieke Bal, ‘De-disciplining the Eye’, Critical Inquiry, no.16, Spring 1990, pp.506–-31. 45. Kidson, George Stubbs, p.14. For the nature of scientific affects in Stubbs’s anatomical work, see the author’s ‘George Stubbs’s Dissection of the Horse and the Expressiveness of “Facsimiles”’, in Tristanne Connolly and Steve Clark (eds. ), Liberating Medicine, 1720–1835, London 2009, pp.165–80. A version of this paper was first presented at the conference The Sublime in Crisis: New Perspectives on the Sublime in British Visual Culture 1760–1900 held at Tate Britain in September 2009, organised by the AHRC-funded research project ‘The Sublime Object: Nature, Art and Language’. Other papers relating to the project can be found in Tate Papers no.13. Aris Sarafianos is Lecturer in Art History, History and Archaeology at the University of Ioannina, Greece. Aris Sarafianos, ‘Stubbs, Walpole and Burke: Convulsive Imitation and ‘Truth Extorted’: The Sublime Object’, in Tate Papers, no.13, Spring 2010, https://www.tate.org.uk/research/publications/tate-papers/13/stubbs-walpole-and-burke-convulsive-imitation-and-truth-extorted, accessed 21 April 2019.